Often when we describe our house sitting lifestyle to friends with children, we are met with the comment, “It’s easy for you because you don’t have kids”. But in reality family house sitting is a great way to travel and educate your kids at the sames time – homeschooling it seems, is also on the rise. We admit, it’s probably easier for us to get house sitting jobs as a couple, but we have actually been turned down after reaching the shortlist on two occasions in the past. The reason? Because the home owner wanted to offer the opportunity to a house sitting family. Family house sitting is more common than you may think! It’s easy to assume that home owners will be less likely to want a family with kids looking after their property. But many home owners have families themselves, and have no problem handing over the keys to other respectful family house sitters. What does seem clear is that more and more house sitting families are hoping to use house sitting as a way to make travel more affordable. So it’s likely you will start to find more “family friendly” filters appearing on websites as house sitting platforms realize the need to cater for this. Trusted Housesitters already have this filter in place, and when we looked at their site today, around one quarter of all house sits indicate they will consider family house sitting applications. 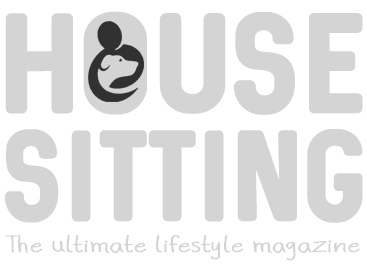 You can benefit from our 25% TrustedHousesitters discount as a reader of House Sitting Magazine, but remember it’s free to browse – so maybe just see what’s on offer first. Maybe you’ll have to work a little harder. Make your profile a tad more special. Or wait a bit longer to get your perfect assignment. But it does seem that family house sits are certainly more than just a slim possibility. We’ve talked to many families who have successfully house sat, and all over the world. Here’s some further reading to help you decide whether family house sitting would work for you. And we focus in on Tracey and Rob Tullis here and their story of house sitting with son Makai. Becoming members of HouseSitMatch has benefited long term house sitting family Tracey, Rob and Makai Tullis, since they set out on their house sitting adventures back in 2014. Tracey Tullis shares her family’s experience below. Our experience of HouseSitMatch was that they made choosing house sit assignments easy for families. 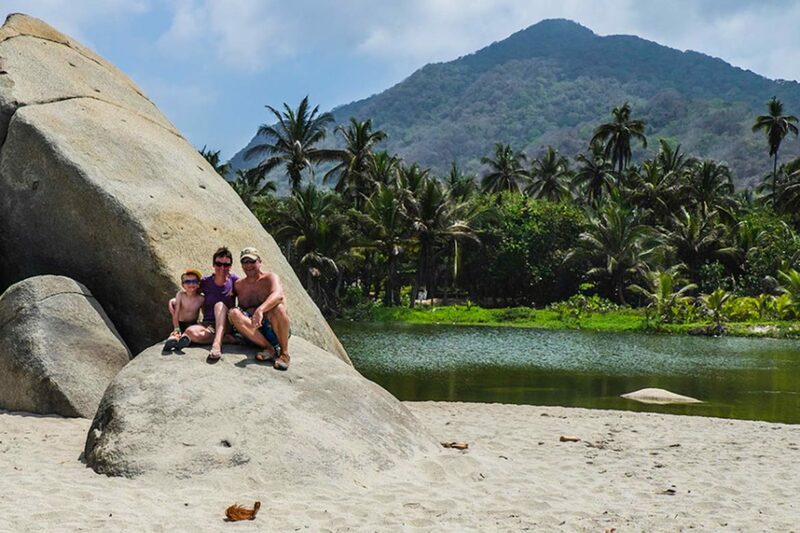 We are a location independent family that has been travelling the world since April 2014. We set out in search of destinations where we could live for less than what it cost us to live in our home country, Canada. Now we use house sitting as a means to keep our travel costs low and to immerse ourselves in local cultures. So far we have completed 9 house sitting assignments, adding up to almost a year of free accommodation! What makes HouseSitMatch so family friendly? We’ve used three different house sitting sites over the course of the last two years, but HouseSitMatch really stood out for us as the most “family friendly”. The biggest difference is the individualized service that they offer their members. In our opinion, HouseSitMatch is unrivaled for their personalized, friendly communication. We really benefited from the “live chat” facility that is available on the site. The founder, Lamia Walker, personally helped us communicate with homeowners, making the whole process much smoother. People on her team call every new home owner who subscribes to get to know them and help them with “on-boarding”. This level of communication is extremely valuable for all members because it helps HouseSitMatch create the best “matches” for all of their listed house sits. Having Lamia and her team act as liaison between homeowners and house sitters ensures excellent communication right from the start, resulting in less guesswork for both parties. This is especially important for house sitting families like us. Finding perfect matches for house sits can be challenging. Usually, house sitters and home owners meet for the first time and communicate online via Skype or email. It is less likely that both parties will meet in person before a decision to work together is made. The list of unknowns can be much longer due to this remote type of communication. For example, we walked into a less than ‘kid friendly’ house sit because of questions we neglected to ask, and things we should have insisted on, but didn’t. This led to a less than ideal assignment. I know this awkward situation could have been avoided if we had been able to use HouseSitMatch. They provide a personal link between house sitting families and homeowners. We haven’t found this kind of communication on any other sites we’ve used. It’s really worked for us. The effort that HouseSitMatch employs to get to know house sitters and homeowners personally, builds trust. It helps house sitting families feel more confident when choosing assignments. Personalized support really does help families land house sits! Some homeowners do prefer singles or couples as house sitters. They want to avoid having kids in their home for one reason or another. And we’ve had to overcome some of these objections because of our young son. In one case, the three-way communication, that included Lamia, helped put the homeowners concerns about our son to rest sooner than we could have possibly achieved on our own. Lamia was able to act as an intermediary because of the relationship she had with us and the trust she had built with the homeowner. Her opinions and suggestions helped us all “click”. We landed the best house sit we have had yet… in sunny Spain! All of this personalized service and support makes choosing assignments with HouseSitMatch easy for us. Anything that simplifies family travel is a good thing, right? We had the same thoughts because we are traveling with our dog. But at the end we always found house sits and it was great fun most of the time. It’s good to know that even when house sitting with your own pets it is still possible to find great assignments. Tracey, Rob and Makai house sat for our dogs, rabbits and fish in August 2015 in Cardiff, UK. We had many applicants but were certain that we wanted a family as our dogs are used to spending time with our children and their friends. Makai is a lovely young man who our daughters got on really well with when we met the night before our holiday. Our house was spotless when we returned and our pets had clearly had a great time whilst we were away. We would have no hesitation in recommending them. Thanks for the feedback Misha. It is great to know that many home owners see the value and benefits of having a family look after their home and pets while they are away. Your comments should provide great encouragement to other families considering giving house sitting a try, or to home owners who receive applications from families.